Whether you've heard of a White Lady or not doesn't matter now, the moment you taste it you'll never get it out of your head. Its smooth, delicate, citrusy flavour brings a whole new meaning to a refreshing cocktail and it's dangerously easy to drink... We asked Sebastian Hamilton-Mudge, International Brand Ambassador, Beefeater and Plymouth Gin to show us how to make one amazing White Lady. 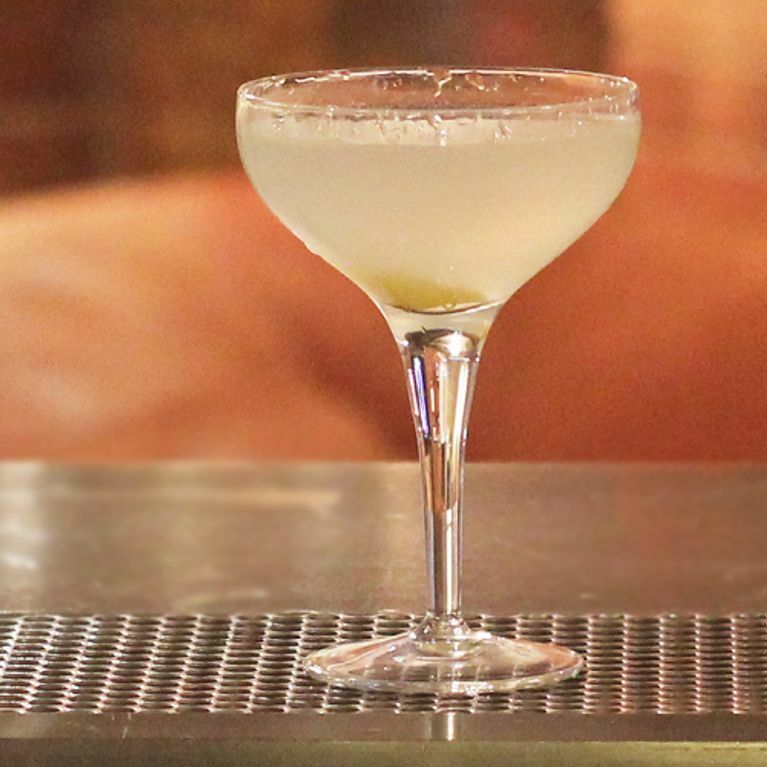 Essentially a White Lady is simply gin, lemon juice and Cointreau so pretty much any of us could make it. It's really pretty much idiot proof. However, the thing that sets it apart is addition of an egg white to give it its super smooth texture. ​Before you freak out, using egg white is pretty common practise in the cocktail world - if you've ever ordered a sour (which of course you have) then you've drunk an egg my friend. However, using egg in a White Lady is a decision that Sebastian says "splits the industry down the middle". For us, a little egg white is the magic ingredient in this cocktail and takes an otherwise fairly simple drink to another level of delicious. Sebastian explains that despite the split decision for this particular cocktail, "the whole reason we put egg into the cocktail is for texture." So if you like your cocktails super-smooth, this can only be a good thing. If you do choose to use egg white then Sebastian says that temperature is very important for your shake. So he suggests that at room temperature you make sure to do a "dry shake first without the ice, whack a coil in there to act like a balloon whisk," he says. Then afterwards add your ice and shake once more. "We want a shiny glossy foam with right bubbles, that's what we're looking for," he explains. But enough talk, time to mix. This feature was written by Maria Bell, follow her on Twitter at @Marrbell. Like this? Tweet us your cocktail suggestions to @sofeminineUK.